This past Saturday, Sept. 19th, we celebrated the start of Post Doc Appreciation Week with a workshop by Career Strategist Sarah Cardozo Duncan. Sarah’s career development workshop focused on “How to Find a Job in Difficult Times”. Sarah walked 30+ Tufts postdocs and invited guests through how to determine individual strengths and how to clearly articulate value to prospective employers. 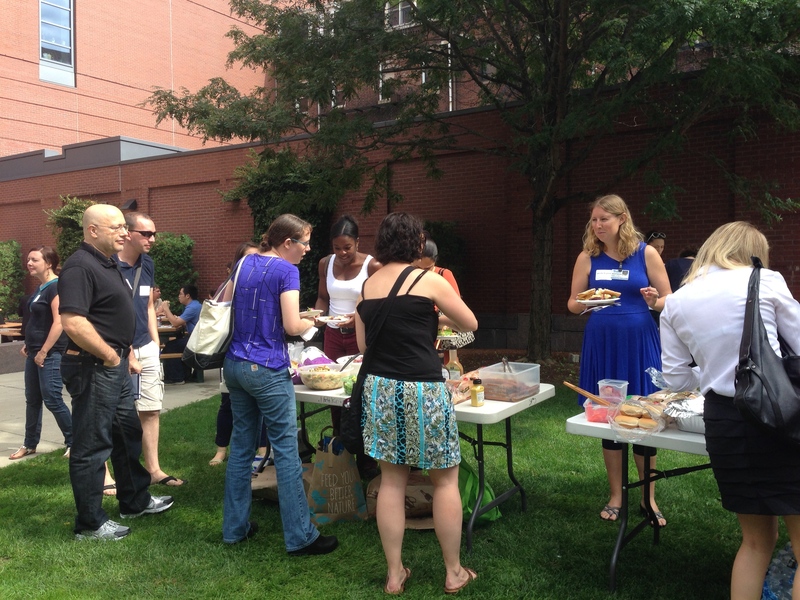 We enjoyed networking during a great BBQ lunch thanks to the help of Tufts PDA Executive committee members Lisa Hawver and Jodi Benenson. Thanks, guys! We ended the day with more networking and practicing our career stories. Thanks to all who attended and hope to see you at the rest of the Post Doc Appreciation Week events! This entry was posted in Uncategorized and tagged career development, networking, PDAW.